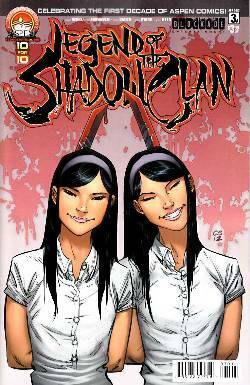 When 17-year-old Brayden Arashi discovered that he and his siblings were part of an ancient and powerful ninja family called the Shadow Clan, he thought his troubles were over. A mediocre student and athlete with no hobbies to speak of, he was one of those people that just never did anything particularly well. But now, finally, he felt like he was part of something special. Unfortunately for Brayden and his family, their troubles are just beginning, because the Arashi had a deadly rival-- the GHOST CLAN-- a vicious and deadly group of ninja who've been searching for the Shadow Clan for centuries...and now they've found them!